Robert Gates, defence secretary of US said on Monday, that US is considering handing over the command of the military operations in Libya either directly under French, British or Nato’s control in few day. “I think that there are a couple of possibilities : one is British and French leadership , another is the use of the Nato machinery and I think we just have to work out the command and control that is most accommodating to all of the members of the coalition,” Gates said. BBC reported that The operation of stationing British aircrafts to a base in southern Italy which is being used for missions will almost be done. RAF Typhoon fighters have taken part in their first mission to patrol the zone. The government of Libya says that strike is killing more civilians than military personnel, and in the third night air and missile strike by coalition forces have killed many civilians. 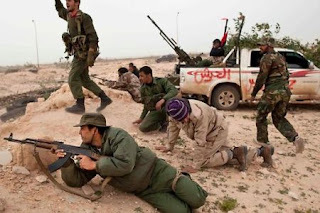 It is being reported that clashes between loyal forces of Gaddafi and rebels is still going on at various places even after a declaration of Ceasefire by Gaddafi. 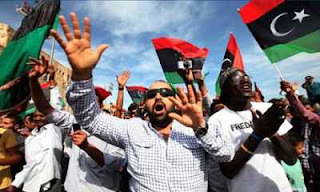 In the eastern Libya, Gaddafi’s troops have halted a rebel advance outside the town of Ajdabiya. Talking about shifting the command of operation in Libya to another country or group, US said there policy demands them to remove Gaddafi from power, but they are doing military intervention in Libya just to protect the people. 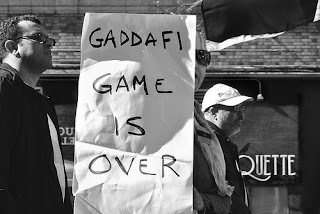 Whether there aim is to remove Gaddafi or protect the people of Libya, there is no doubt that the method which they used has already killed many people.